Say it with Diamantes! These two stunning, glamorous onyx black wine glasses are etched with a elegant spiral pattern and finished beautifully with three sparkling, Swarovski Diamante crystals embedded in the design. 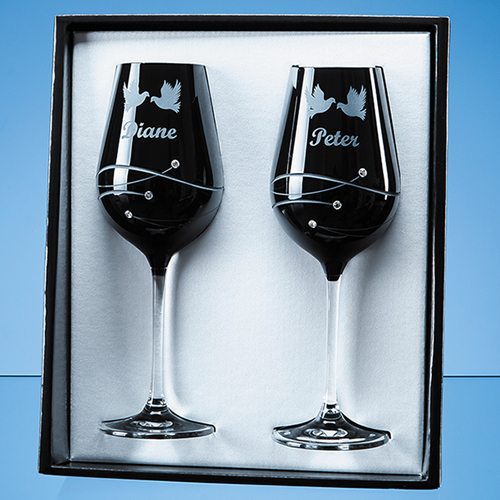 With space to engrave an inscription, logo or message these glasses would make a lasting memento of a romantic or special occasion such as a work farewell, engagement, wedding, birthday or anniversary. They are packaged in a beautiful presentation box.